Christmas is only a few days away but you have just enough time to order some last minute gifts if pounding the pavements has so far proved fruitless. So here are a few of my last minute suggestions. Amongst the many contributions Italy has made to the world of menswear it’s generally acknowledged that they make the finest hosiery. It may seem extravagant to import your socks from Rome, but hey it’s Christmas and this latest find is an opportunity too good to pass up. I first discovered Jackson and Edison and their excellent dress socks on my last trip to Rome. Available in below the knee, mid calf and below the calf and spun from Scottish yarns, their elegant dress socks are made from 100% Mercerised Cotton which makes them both strong and slightly sheer. The process of mercerisation also allows for a wonderful array of rich colours to suit any look and taste. If you go for the knee length versions, as I did, the large elasticated tops mean they stay taut without exposing hairy white shin when you sit cross legged. At just 17.50 Euros for three pairs this equates to unbelievable value for a product of this type. While the Italians are acknowledged as sock experts the British, sadly, are the opposite. 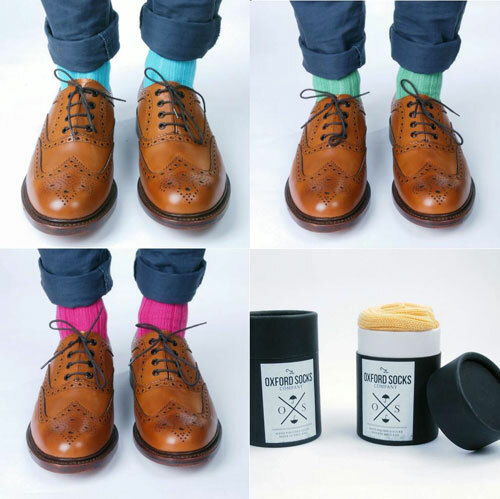 The Oxford Socks Company is a new UK independent label looking to redress the balance. 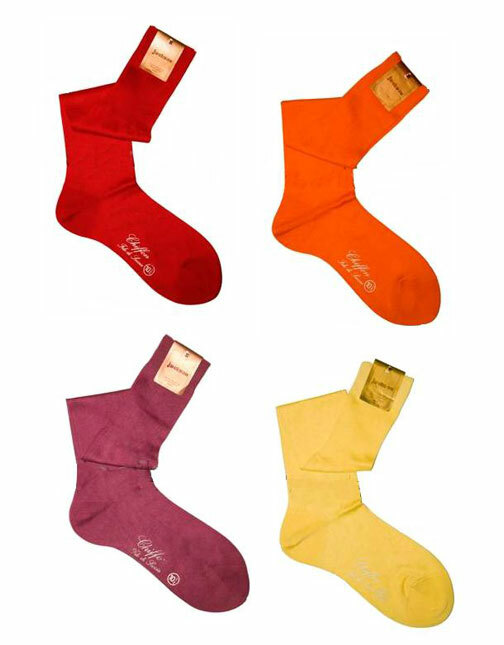 Again offering very good value they have some beautiful coloured socks all made in England from British yarns. No sweatshop sweat socks here. The gifts I most appreciate are those that scratch a particular itch. Falling into that category are Etre woollen gloves, a pair of which I recently acquired. Twice a week I have a lengthy commute from London to my other office in Cambridge. The climate control in the train carriages is usually set to frosty and this time of year travelling each way in the dark only adds to the chill. To pass the time I’ll often answer e-mails on my Blackberry or surf the net on my Galaxy Note. In a clash of old world and new, hitherto this has meant taking my gloves off, brrrrr! 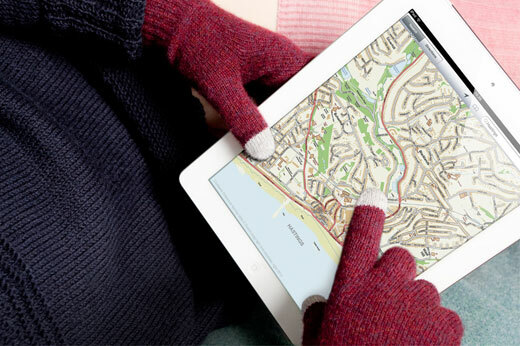 Etre, a London based design agency and the commuter’s friend, have solved that problem by creating two sets of woollen gloves, one pair index finger and thumb-less and the other a full glove with contactwoven fingertips. Manufactured in Scotland at a family-run mill, they’re a very reasonable £40 a pair and available in a variety of colours and patterns; a clever and stylish way to solve a 21st century problem. And if your intended recipient has slightly richer tastes why not treat them to Etre’s hand stitched Hairsheep (Cabretta) leather versions of the finger and thumb-less gloves. A bottle of aftershave is standard issue Christmas gift giving but why not come at it from a different angle. 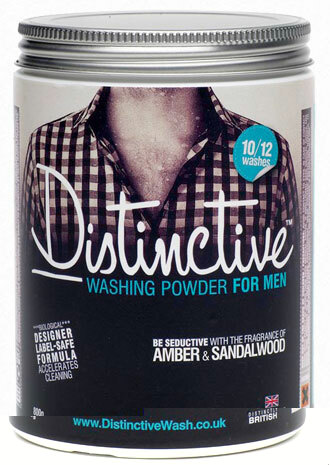 A new product from a recent British start-up, Distinctive Washing Powder is a designer label safe washing powder for men with base notes of amber and sandalwood. I’m always looking for that little added extra to incorporate into my wardrobe and this is an interesting idea which could add that extra effortless touch. I may not have another opportunity to say it so, Merry Christmas and a Happy and prosperous New Year.